Posted on November 7, 2012 by Gina M. Crome, M.S., M.P.H., R.D. November is American Diabetes Month, which is a time when the American Diabetes Association (ADA) and other organizations raise awareness of diabetes and communicate the seriousness of the disease. 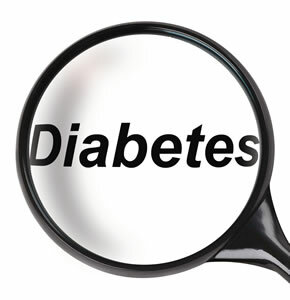 About 95% of those diagnosed with diabetes are classified as Type 2. Type 2 diabetes is a chronic condition that affects the way your body metabolizes sugar (glucose), your body’s main source of fuel. With type 2 diabetes, your body either resists the effects of insulin — a hormone that regulates the movement of sugar into your cells — or doesn’t produce enough insulin to maintain a normal glucose level. If left untreated, type 2 diabetes can be life-threatening. 26 million Americans have diabetes with 2 million new cases diagnosed each year. An overwhelming 79 million Americans have higher than normal blood glucose levels but are not yet classified as diabetic and it’s expected that about 1 in 3 Americans will have diabetes in 2050 at the current rate of incidence. Diabetes is costly financially as well as to your health and wellbeing. Fiscally, diabetes costs the U.S. alone $174 billion each year. This figure represents a 32% increase since 2007. Let’s put this into prospective, about one out of every 10 healthcare dollars are spent in direct diabetes care. The health impact is just as staggering with a risk for stroke and death from heart disease at 2-4 times higher among people with the disease. Diabetes is also the number one cause of kidney failure, lower limb amputations and new cases of blindness among adults. You can do a lot to prevent or delay Type 2 Diabetes. If you are over ideal weight, there are a number of studies that indicate that losing only 5-7% of your current body weight will lower your risk of type 2 diabetes. For instance, if you weigh 200 lbs, a weight loss of only 10-14 lbs will lower your risk significantly. Get your blood pressure and cholesterol levels checked regularly and talk with your doctor about higher than normal readings. Consume plenty of fresh fruits, vegetables and whole grains. Minimize the amount of take out and processed meals which typically have much higher levels of fat, calories and sodium and contribute to high cholesterol, blood pressure, and weight gain. Aim for a minimum of 25-30 minutes of cardiovascular exercise most days of the week. And remember, exercise doesn’t only happen at a gym. Staying active means taking advantage of opportunities to move more in our daily life. Examples may be walking for short errands like mailing a letter or going to the store, gardening, taking the stairs instead of the elevator, walking the dog, etc. Those who smoke are at higher risk for type 2 diabetes. So if you’re thinking about quitting, now is the time. For more information on diabetes and prevention visit the American Diabetes Association. Gina M. Crome, M.S., M.P.H., R.D., is a Registered Dietitian and ACE Certified Personal Trainer based in Southern California. She is the owner of Lifestyle Management Solutions, a company that provides customized nutrition and fitness programs designed to fit an individual’s lifestyle. Become a fan of Gina on Facebook, follow her on Twitter, and visit her website Lifestyle Management Solutions.